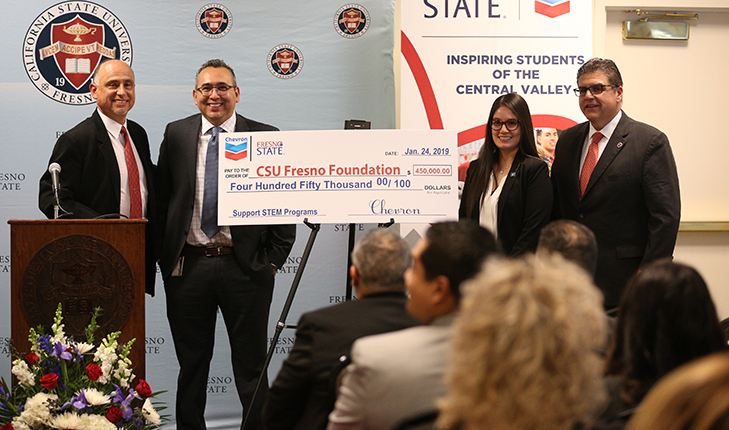 “It is very exciting to see how our contribution will be implemented and will make a direct impact not only in the classrooms but also in the community,” said Marc Guzman, a reservoir supervisor with Chevron who represented the company at the gift announcement on campus at the Smittcamp Alumni House. 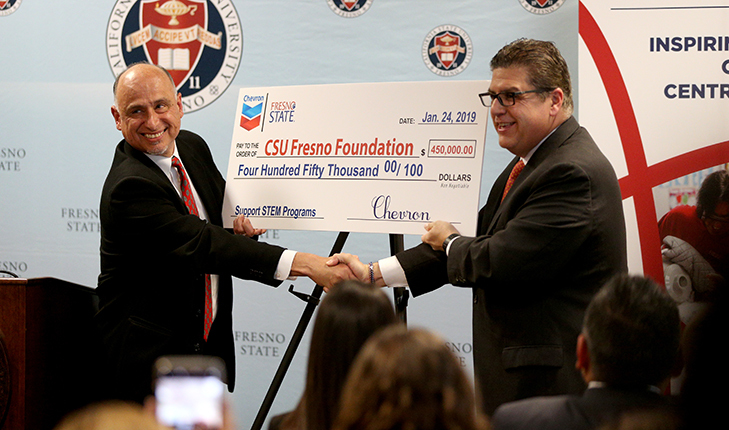 This new gift from Chevron will benefit even more programs at Fresno State, in the following areas: the Lyles College, College of Health and Human Services, Craig School of Business, Office of Community and Economic Development and Division of Student Affairs and Enrollment Management. 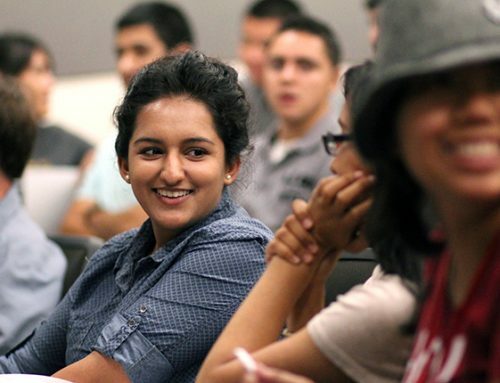 $25,000 — STEM 5, Craig School of Business – Lyles Center for Innovation and Entrepreneurship: Chevron’s gift will support STEM 5, a student-centered, teacher-facilitated Next Generation Science Program administered by the Lyles Center. 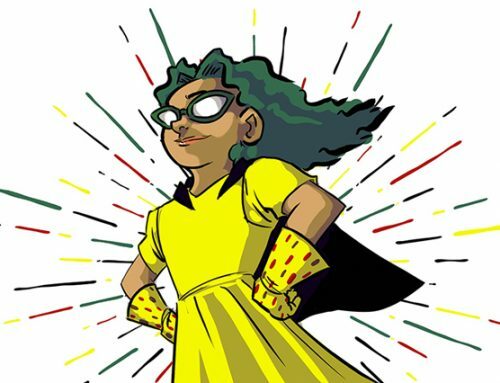 The program teaches over 6,000 fifth- and sixth-grade students STEM concepts like matter, ecosystems, earth systems, engineering and space systems. The program trains teachers in rural and West Fresno.